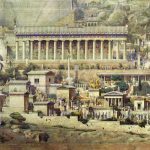 Michael ScottBlogDELPHI – a history of the centre of the ancient world – OUT NOW! 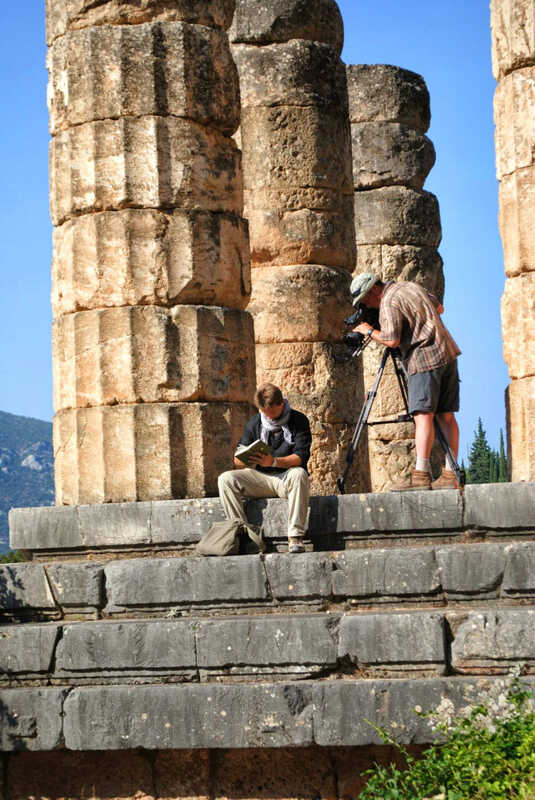 I have been working on the ancient site of Delphi for a long time, since I began my PhD in 2004. Indeed my interest in Delphi goes even further back, to when I first visited the site on a school trip to Greece in 1997 (it was an eventful trip, not least because the airline lost my luggage completely on the way out which meant I was in the same clothes for a week!). So why write again? For three main reasons. 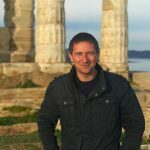 The first is that most people who talk about Delphi talk about its oracle (with good reason – it’s incredibly interesting). But the oracle was but one of the many activities going on at Delphi. 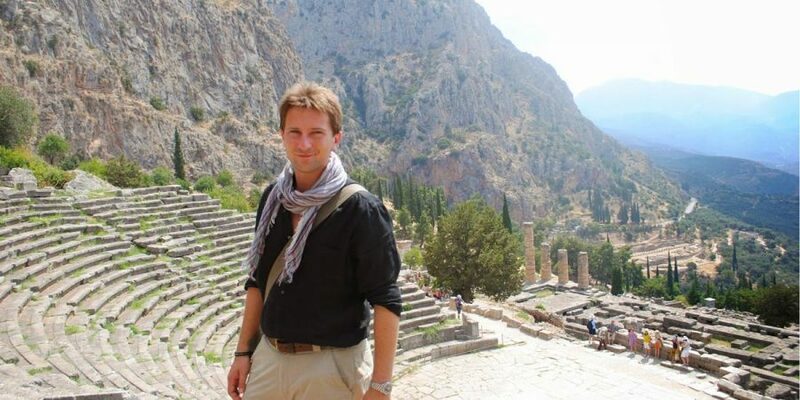 As such, I argue that we can only understand Delphi – and its on-going success as a place of importance for over 1000 years in the ancient world – if we examine all those activities together and particularly the way they interacted with and impacted upon one another. 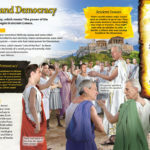 Second, because, despite the fact that Delphi was the proclaimed centre of the ancient world for over 1000 years, most books on Delphi have focused exclusively on a small portion of that – the archaic and classical periods (its so-called ‘golden age’). 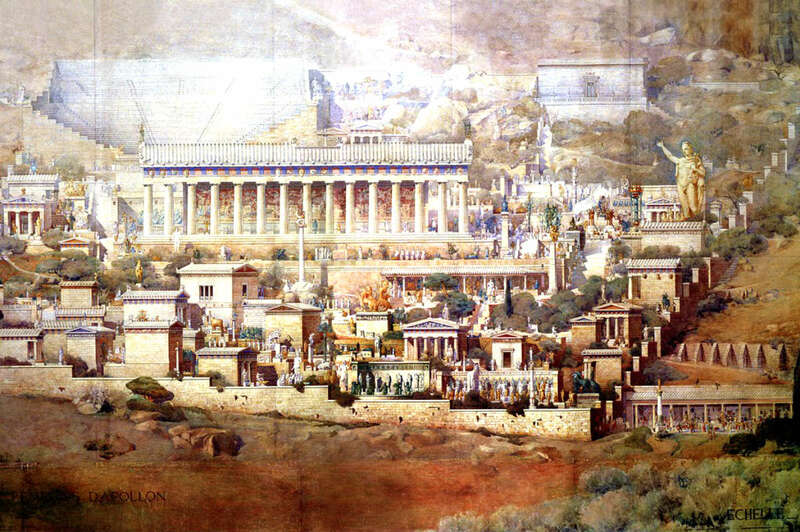 But I argue that not is this missing out on a large part of Delphi’s story, it is missing out on the fact that many of the sources we rely on for telling us about this golden age, and more generally how Delphi worked and operated come from outside that period. The Roman-age writers for instance were particularly interested in how the oracle worked. 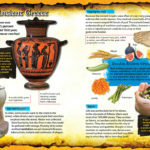 Third, because focus on Delphi has often been on its oracle, the sources used to study Delphi have often been literary. 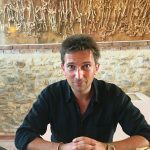 Equally, the excavation of the site – led by the French since Delphi’s first major excavation in the 1890s – has obviously focused on its archaeological and inscriptional story. But I argue we need to put all these sources together if we are to study Delphi in the round and see it as the ancients saw it. At the same time, in doing so, this book brings into English, often for the first time, evidence, ideas and discussions that have hereto been conducted mainly in French scholarship. As such, this book has as its goal to explain why Delphi was such a great success for so long, and why it continues to mean so much to us today, by examining all the types of evidence for all Delphi’s activities throughout its history. In doing so, it seeks to put the reader in the shoes of those 1000 or so citizens who lived at Delphi 2000+ years ago, and understand how they saw their privileged position at the centre of the world. I hope you enjoy!